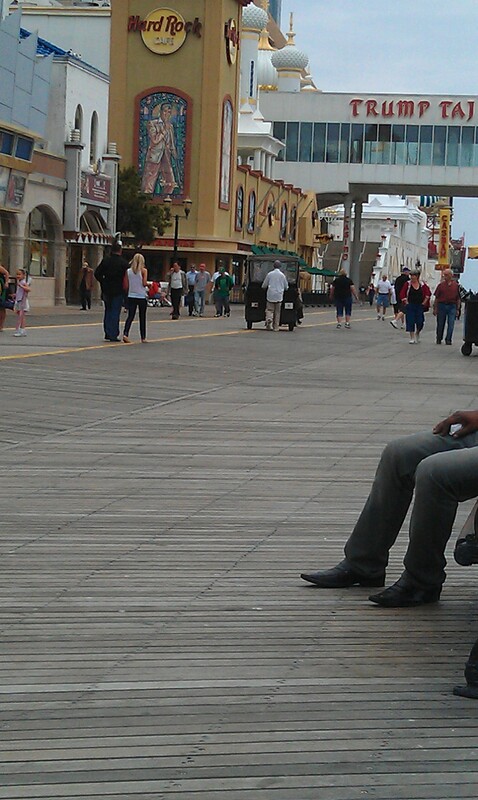 We went to Atlantic City with a goal in mind: to see Wanda Sykes perform at the Borgata. She was great. She sure does love Obama and talking about her kids. Hilarious stuff. The food at Atlantic City is worth noting. There are buffets, and buffets. And buffets. And boardwalk food (even the pretzel was fried). 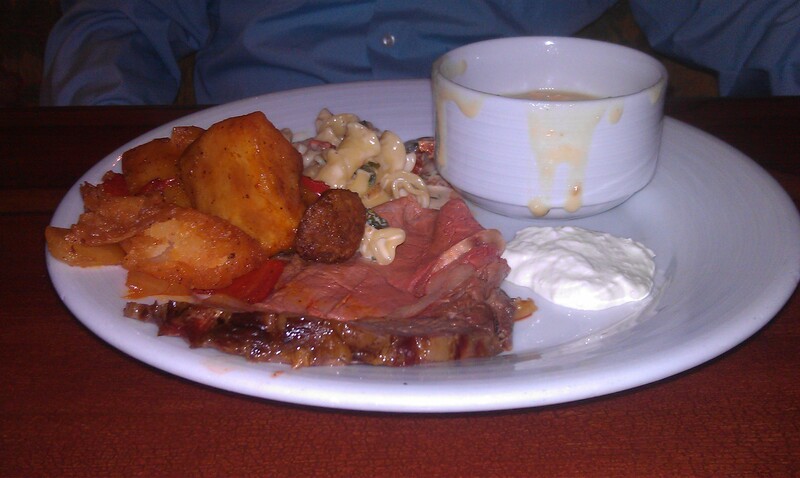 We succumbed to the buffet madness and ate at the Borgata buffet, which was excellent. You can take as many plates as you like. So, I made a plate of spinach and portabello mushroom ravioli (outstanding) and another plate with prime rib with horseradish and Au Jus, creamy pasta primavera, mashed potatoes, and a cheddar biscuit (think Red Lobster). The prime rib was cooked perfectly and was neatly accompanied by the horseradish. 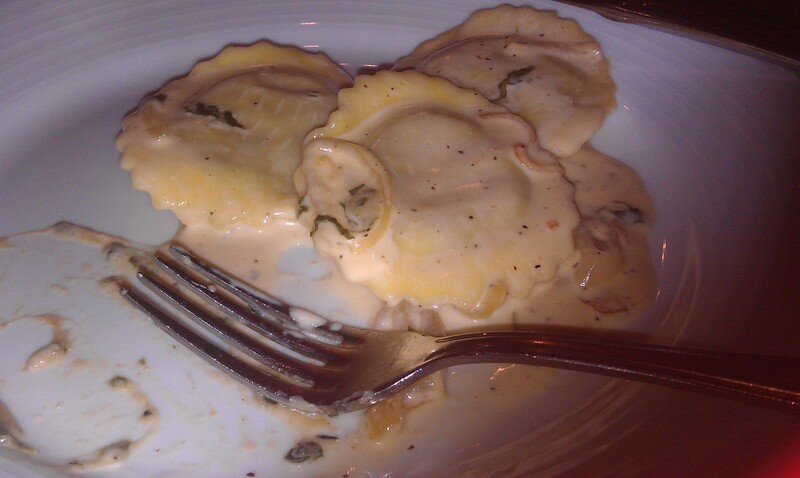 The mashed potatoes were underwhelming so I didn’t really eat them, but the creamy pasta primavera was delicious. The vegetables were neither too crisp nor too flaccid. 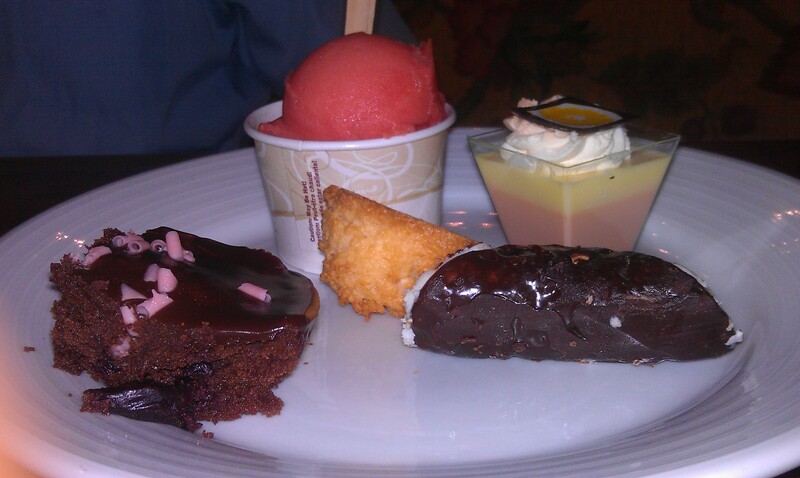 For dessert, we tried a bit of everything: chocolate-dipped cannoli, lemon and raspberry mousse, gelato, macaroon, and brownie. My favorite was the lemon and raspberry mousse, which was light, delicate, and melt-in-your-mouth scrumptious. 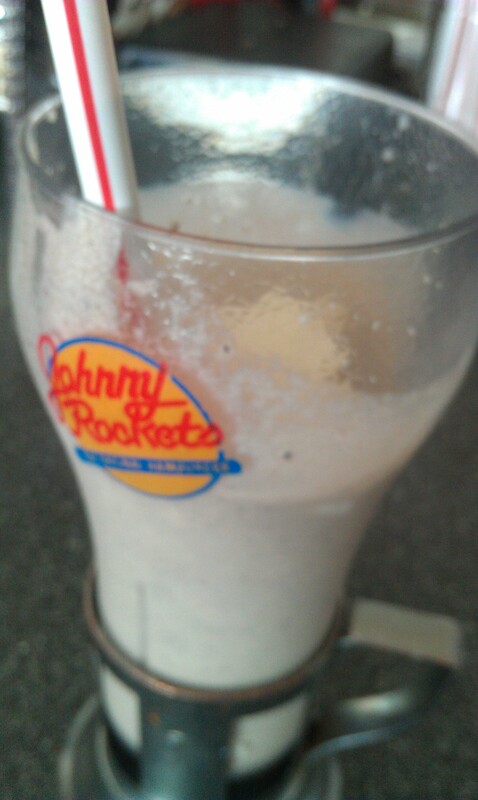 Believe it or not, there are two Johnny Rockets on the boardwalk. We went to one of them (near Bally’s, not Showboat) for lunch. I had an Oreo cookies-and-cream milkshake, which was decadent and unfinishable. We both ate the Rocket single, which comes with a mysterious special sauce. I couldn’t quite put my finger on what it was, but it was like Thousand Island dressing + something else. Very descriptive, I know. That’s why they pay me the big bucks. Of course, the burgers were great. 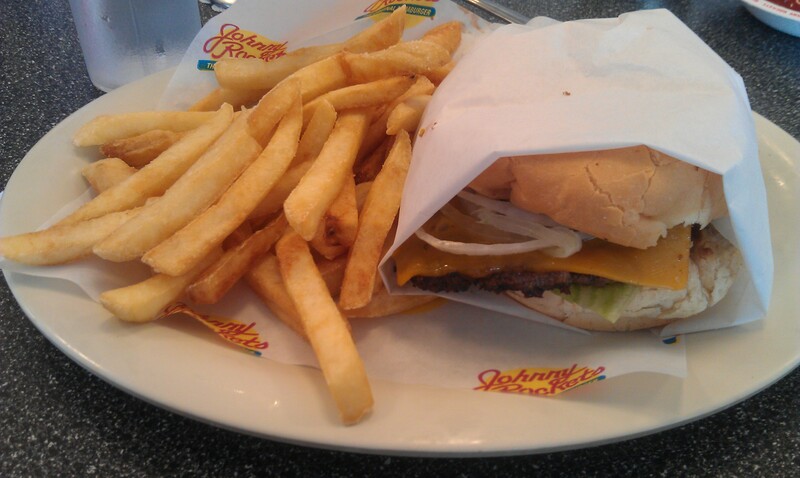 Johnny Rockets consistently puts out a delicious hamburger, at every location. One of the most fascinating parts of our trip was the revelation of cats on the beach. 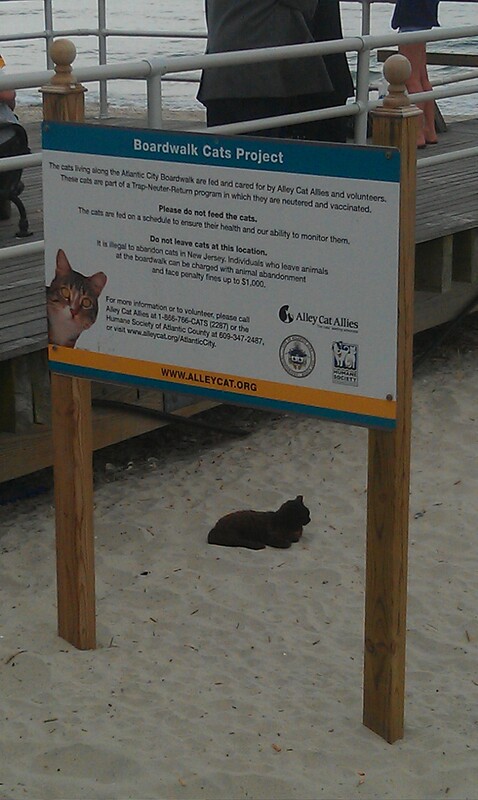 Why are there cats on the beach? you ask. Because Atlantic City promotes a cat project. Yes, the Boardwalk Cats Project, as it’s known, supports local homeless cats. They are spayed and neutered and then brought back to the beach, where they obviously belong. Homeless-like volunteers attend to the cats by feeding them but not by bringing them water. “Water is all around,” we were told. I think the “volunteer” was referring to the ocean. The “volunteer” also fed the sea gulls, who did not eat her food due to the presence of felines. She urged, “They won’t bother you! The cats, they will not eat you,” but the sea gulls knew better. We ate decent food in Atlantic City and got a few good laughs out of the cat project. Overall, it was an OK trip.